In the year of 1994, I visited Teku Hospital to get vaccinated against rabies. I had to take 10 shots of anti rabies vaccine around umblicus. Oh.....I still remember the "burning" pain once the needle penetrated my subcutaneous tissue and the vaccine released in the tissue !! The reason for getting the shots was that "angry" monkey from Swayabhu Nath. The monkey robbed me of biscuit that I was carrying with me in the first place and bite me in my hand as a reward. Now, it is almost two decades later, I visit Teku Hospital again. This time not to get vaccinated but to inquire on the recent reports of suspected as well as culture confirmed cholera in Kathmandu valley. This is unfortunate that we have to deal with water borne illness like cholera in the center of capital even in the 21st century. To be honest, we feel sad to talk about cholera even now but the truth is bitter - just next to your door there may be cholera outbreak !! Who knows ?? However, there is one recent development that such infectious diseases in the community are no more problem of "low income countries" only. When I say such statement - it means neglected diseases are recently found to be "neglected" problem even in some corners of the developed countries where water, sanitation and hygiene practices are supposed to be highest standard. But this does not seem so when I read such in CNN which reports "neglected" diseases in Southern states of America, where people living with poverty have to face such diseases of tropical origin !! Now let us focus on Nepal. The king among waterborne illness - CHOLERA has been reported every year in Kathmandu valley and even this year 2015. Till the end of July - we did not hear of any report of cholera cases any where in the country. With the start of August - there begins the reports of suspected cholera cases from Teku Hospital, whose official name is actually Sukraj Tropical and Infectious Diseases Hospital (STIDH) which is located in Teku near the premises of Department of Health Services (DoHS) close to Epidemiology and Disease Control Division (EDCD), which is headed by Dr. Baburam Marasini, a veteran public health expert as well as senior clinician. Dr. Marasini told us that Teku Hospital used to be called Cholera Hospital when it started its service during Rana Regime. This hospital was established more than 60 years back to address yearly cholera outbreaks in Kathmandu valley. So long is its history in terms of its establishment and its service to the people of Kathmandu that STIDH deserves to be the center for excellence that can be a model for our country like International Center for Diarhheal Diseases Research (ICDDR) in Dhaka, Bangladesh. Let me begin by saying"They like it hot !!" "They like it dirty !!" Here "they" means Vibrio cholerae. This microscopic organism said to be uni flagellated (with one long tail) and has darting movement when observed with "hanging drop preparation" under a microscope. This tiny invisible organism can create havoc in a community and even disrupt the socio - economic dynamics of the state if this gets uncontrolled by affecting the daily "bread and butter" activities of common people. It is sometime said - it does not need huge force to bring down thousands. Instead, it may be the might of invisible bugs that may bring down the whole contingents of army. That is what we have read in the history !! Now, with this in mind, everybody is talking about "cholera" in EDCD and at Teku Hospital. Then our common logic says, "Why shouldn't we talk about CHOLERA, when some cases are knocking just at our front door !!" Outside, the air is "hot" and even smell "putrid" when you go near Bishnumati bridge. We say Bishnumati a holy river but this has been turned into sanitation passage where you see anything from dead animals to mention it - you will get it there !! Also, these days - it is raining heavy usually in the evening and the so called rivers are flooded with dirty water filled and mixed with human night soils. My thoughts on business of cholera and impoverished community (Part 1 - April 18, 2015) - Here blogger writes that cholera is a recognized public health problem and we need to get prepared early in order to prevent and control otherwise even a single outbreaks may disrupt the socio-economic milieu of the community. Open talk on Dr. Sack's important question and Nepal (Part 2 - May 02, 2015) - In this post - blogger tries to dig into a serious question - have we been successful in convincing the local governments to use Oral Cholera Vaccine (OCV) where it is needed the most? Well - blogger tries to balance the country's capacity post earthquake, the political / bureaucratic landscape as well as the need for close coordination between governmental, non governmental agencies as well as local partners for effective preventive measures. Open talk on Dr. Sack's important question on OCV delivery (Part 3 - May 12, 2015) - In this 3rd post, blogger touch upon surveillance as the foundation for prevention and control of cholera and any other infectious diseases. When we talk of surveillance - it means robust surveillance backed up by efficient laboratory diagnosis facilities which also include sample collection, transportation and its cold chain. In addition - another burning question would be introducing laboratory diagnostics (be it even hanging drop test or rapid serological diagnosis) in the ailing health system. Even in Kathmandu valley, I doubt each and every hospitals have efficient laboratory diagnostic facility for early diagnosis of cholera !! Open talk on Dr. Sack's important question on OCV delivery (Part 4 - May 25, 2015) - In this post - blogger is struggling to make sense of the chaos brought about by repeated tremors and preparatory dialogues / communications for preventive measure to curb possible cholera outbreaks that may follow once monsoon starts in the highly affected areas. Here - our team with government of Nepal on board were continuously stating that WASH measures are the key mantra to deal with possible waterborne illnesses in the community while we need to be prepared mobilizing oral cholera vaccine from WHO stockpile. Now it seems what we thought and what we predicted has been true with recent cholera outbreaks in different locations of KTM and outside valley. What next is the question? Random thoughts on OCV delivery and public health politics in Nepal (Part 5 - June 20, 2015): In this post - blogger is reasserting his mission and specific objective to protect the vulnerable population from possible cholera outbreaks using vaccine on the foundation of key WASH measures in the community. Here - the blogger was particularly determined and at the same time asking how come we are rejected of our application to mobilize cholera vaccine to be used in the most vulnerable geography, where reaching once monsoon starts would be next to impossible !! Just few days early - we heard that there is an outbreak of viral hepatitis in Barpak, Gorkha and now it is difficult to reach there for investigation due to landslide aggravated by rainfall. Random thoughts on public health politics (Part 6 - June 26, 2015): In this post - though not directly related to the business of cholera but this is a personnel feeling that sometime we come across working in the field of public health which is no more limited at national level. Instead, we have to keep up with newer innovations, concepts as well as updates and of course global health politics or equations that we may not be aware of and we are like puppets (unaware!!) who your master is or was !! Unprepared (Republica - 24 May 2015) - In this article, Dr. Pun urges all concerned public health authorities and equally the public, who have to bear all the onslaught of Earthquake and its aftermath of possible infectious diseases outbreak, to be on high alert !! In particular, Dr. Pun raised his concern about the preparedness and its (action oriented) responses should there be any outbreak(s) in already strained and ailing public health infrastructure. Stay Alert (Republica - 14 August 2015) - In this piece Dr. Pun write for public dissemination and education that residents from Kathmandu valley be aware of water borne illness and its preventive measures which are maintaining healthy & hygienic behavior that includes hand washing and boiling of waters. Also, Dr. Pun raises an important point based on laboratory finding and clinical presentation particularly of one case, which presented to hospital with severe diarrhea. The sample tested identified as Inaba rather than Ogawa. This Inaba serotype was detected after 8 years of gap in Kathmandu valley. His worry is that this serotype may spread to other areas where cholera may or may not have been reported especially Northern districts, where the population may be naive in terms of immunity against this new serotype too !! Additionally, Dr. Pun urges WHO Nepal to be proactive in the mobilization of oral cholera vaccines and should be used if the situation worsens or to prevent possible outbreak(s) among vulnerable population. Also, there are 2 write ups published in reputed internationals journals. Notably, the first one was published by Dr. Lorenz in PLOS Medical Journal's community blog immediately after our completion of joint risk assessment of possible cholera outbreaks in Earthquake affected Northern districts and another published on 14 August, 2015 in PLOS Neglected Tropical Diseases. Nepal After Recent Earthquake:Reconstruction and Vaccine Preventable Diseases by Lorenz Von Seidlein: The risk assessment that is mentioned here in the blog was in addition to the "prior" risk assessment conducted by WHO-UNIECF-IOM, which was more of a desk based report. The risk assessment that we jointly conducted in close coordination with WHO country office Nepal was field based mobilizing doctors, and public health professionals in all affected districts. Dr. Lorenz strongly put forwards his arguments for preventive vaccination and also states clearly why would we need to mobilize WHO stockpile of cholera vaccine early rather than waiting for culture confirmed cholera cases to appear in the community. 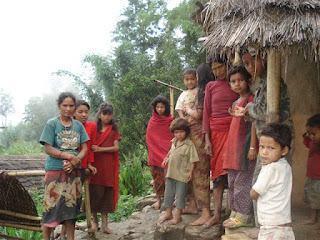 Is a cholera outbreak preventable in Post Earthquake Nepal by Eric J Nelson et. al: Reading this article shared in a tweet by Peter Hotez, President of Sabin Vaccine Institute was a timely read !! In this article, the authors walks us the real ground challenges in infectious diseases surveillance and also recommend the best use of limited and constrained public health system. More importantly, the article also suggest how the mobile health can be utilized in the diseases surveillance for potential outbreak(s). Also, the authors touch upon both arguments for preemptive and "wait and see" strategy for oral cholera vaccination in high risk areas. In final note - the authors recommend WHO stockpile to listen to country's demand for cholera vaccine and also invest in stockpile rather than only sticking to logistics and who get what and how? of lengthy processes of the application, which needs to be adapted to evolving situation. Those who still doesn't believe that the "cholera" outbreak is already knocking at our neighborhood in and around Kathmandu valley and still adamant that the spread of cholera in Earthquake devastated Northern Hill districts is distant reality (or those who still believe that an innocent cat crossing brings bad omen !!) should read Drs. Partha Bhurtyal and Santosh Dahal's first hand story and experience dealing with cholera during Jajarkot outbreak in Nepal. On final note: I would still patiently urge all involved that "time is essence here". This means that we need to "act" fast and mobilize oral cholera vaccine (OCV) while intensify the WASH measures hitting the target where there is an increased risk of possible cholera outbreaks. Here, I am not preaching for cholera vaccination only, instead I am trying to make a sense out of ongoing public health activities that we do not repeat "Haiti' situation here while forgetting tragedy called Jajarkot Cholera Outbreak !! In terms of clarity gauging the public health demands and its landscape - Government of Nepal has been very clear from the beginning regarding the need for preventive vaccination where it is needed the most while intensifying WASH measure as an integrated cholera and other enteric diseases prevention and control strategy in the Earthquake affected districts ! !